I would say that I define success by how you lead your life, and leading a good life is the ultimate goal. Leading a “good life,” means good in every possible way — health, outlook, business practices, personal and professional relationships, connection with something deeper than what we may fully understand. 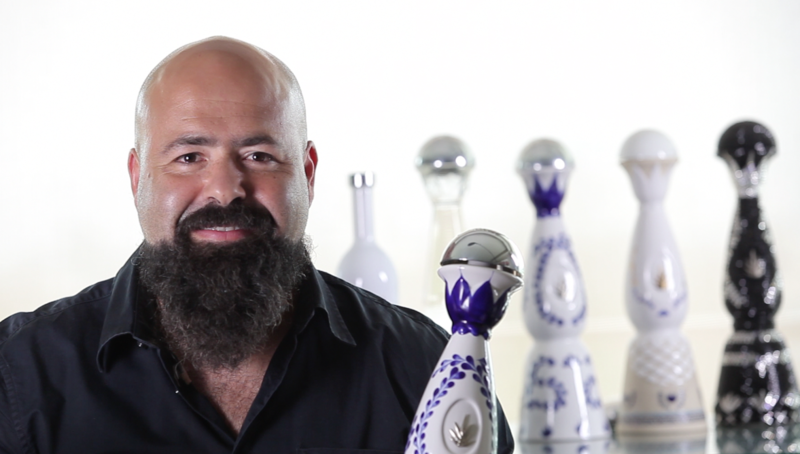 Arturo Lomelí was born in Guadalajara, Jalisco, Mexico and is the founder and CEO of luxury spirits company Clase Azul Spirits. Lomeli established the brand in 1997, which is comprised of 6 different companies, including alcoholic beverage production, 2 import companies, an artisanal ceramic factory, a non-profit organization, and a third-division football team in Mexico. Lomeli is a proud citizen of Mexico, currently splitting his time between California and New York. Lomeli’s brands, which include Clase Azul Tequila, Clase Azul Mezcal and La Pinta Pomegranate Liqueur, have presence in more than 20 countries Worldwide, with offices in Mexico, USA and Spain. In 2016, Lomeli ventured into the luxury retail sector with two Clase Azul boutiques located at the Los Cabos international airport. In addition to being a master Tequilero, Lomeli’s credentials include a degree in Politics and Government from the University of Guadalajara, a Master’s Degree in Global Marketing from ITESO. Lomeli has also furthered his expertise and education, taking several courses in innovation and strategy at the Harvard Graduate School and Kellogg at Northwestern University. What role did mindfulness or spiritual practice play in your life growing up? Do you have a funny or touching story about that? How do your mindfulness or spiritual practices affect your business and personal life today? Be impeccable with your words. Do you find that you are more successful or less successful because of your integration of spiritual and mindful practices? Can you share an example or story about that with us? I find that I am much more successful with the integration of my spiritual path, because I can enjoy the present moment. I avoid using patriarchal power to lead the company, choosing to always lead with wisdom and compassion. I am not greedy and I love to share, I never underestimate the value of my team and like to use spiritual guidance, as well as business advice, when mentoring my team. This is all a result of my spiritual growth — one of our top company principles is to change lives through positive employee engagement and individual growth and transformation. What would you say is the foundational principle for one to “lead a good life”? I would say that I define success by how you lead your life, and leading a good life is the ultimate goal. Leading a “good life,” means good in every possible way — health, outlook, business practices, personal and professional relationships, connection with something deeper than what we may fully understand. Money, power, and prestige are not a marker for living a good life, rather those things may result when one is focused on a well-rounded total well being physically, mentally and spiritually. Can you share a story about one of the most impactful moments in your spiritual/mindful life? Reflection is key for me and in 2012 I started a journal of ideas, stories, memories and my own philosophies. During this time, I realized what “leading a good life,” actually meant — which includes rejecting and course correcting bad habits, whether they be with food and alcohol consumption, not treating our bodies as a temple, or allowing the wrong people in my life. While the book continued to guide me through my own thoughts and realizations, I met the real true love in my life, my wife Sagy. There have been many people who have helped me, I have been very lucky that good people have found their way into my life, since the beginning when I bottled my first tequila. But my current partner and top colleagues, including our President Juan Sanchez, my friend and board member Jorge Berrueta, and our COO Eugenio Franco have really helped laid the foundation for the success of Clase Azul Spirits. I have to mention or CSO Dana Chandler, who also heads up sales and helps us realize the “impossible,” through cash flow. Can you share 3 or 4 pieces of advice about how leaders can create a very “healthy and uplifting” work culture? Treat Everyone Equally, give the same respect to an entry level employee that you would give to the President of the World. Honor in Public, but give constructive feedback in Private. Become the best version of yourself, that is how you can give better to the company. There are much better goals to achieve that just making money……. We start out hiring everyone for “50 years,” then evaluating next phases upon completion. Energy is a key role in relationships and functionality — try and balance masculine and feminine energy to achieve the ideals of humanity: freedom, justice, compassion, unattachment and JOY in this beautiful life.